We offer a number of storage options from the great price of just £12 per week. 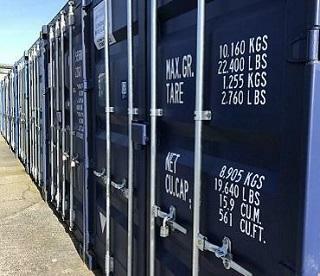 Our self-storage container options start from just £18 per week and we offer a range of container sizes. All our containers are dry and secure. We advise our clients to purchase their own container lock so that they have sole possession of the keys for peace-of-mind. Storage periods are flexible and we will do all we can to help if notice is short. We are also happy to discuss open-ended storage terms if that is what our clients need. ← Why Use a Cornish removal company?